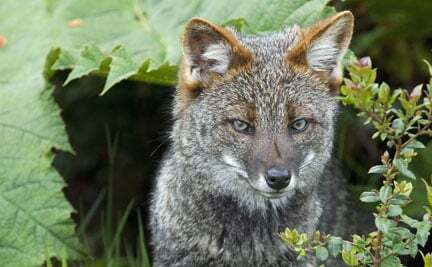 Darwin’s fox is found in only two places in Chile: the Nahuelbuta National Park and on the Island of Chiloè. Darwin’s foxes are critically endangered. It is an “umbrella species,” so by protecting the primary temperate forests where they live, the entire ecosystem can be preserved. Habitat loss and non-native species, such as dogs, threaten these foxes.